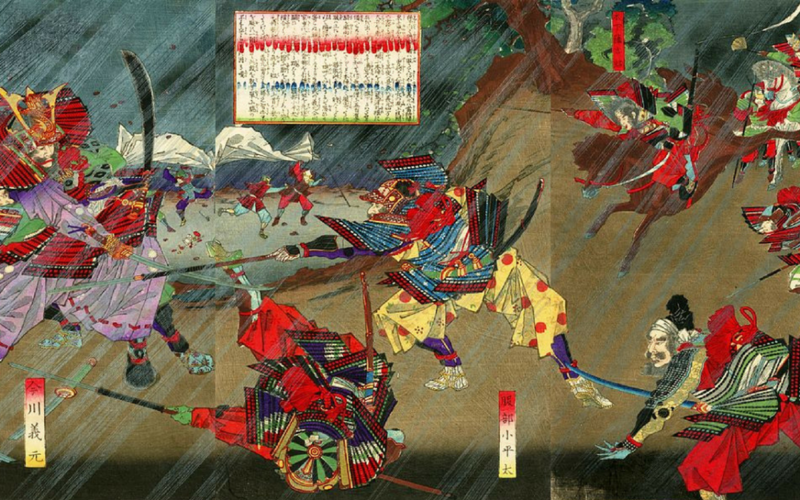 The Sengoku Period was one of the bloodiest in Japanese history. It was a time of samurai fighting for supremacy, after the country became divided following the Onin War. Japan was a changing landscape, trade with China had brought new opportunities, money, and commercial cities, these changes would cause a severe change in the country. People began demanding more autonomy in their regions, in order to take advantage of these new changes, which created tensions with the shogun (king). Famines, and earthquakes caused people to rise up against the Shogunate. Daimyo (feudal lords) were disloyal to the Shogun, and restlessly waiting for an opportunity to gain power by any means necessary. The stage was set for all out warfare, and what set everything off, was the Onin War. The Ashikaga Shogunate had lost so much power by now that a succession dispute caused a civil war. 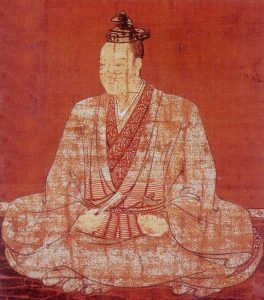 Yamana Sozen, fought his son in law, Hosokawa Katsumoto for succession of the Shogunate. The Onin War lasted eleven years and pushed Japan into all out warfare. It was this bloody conflict which led to the Sengoku Period, a period of constant fighting between power hungry lords and nobles. 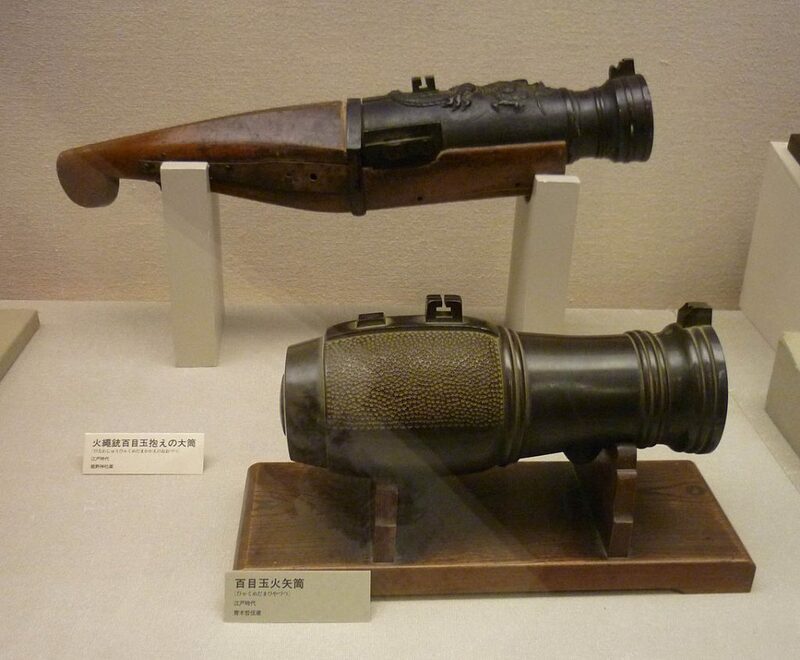 The violence was intensified by powerful Chinese fire weapons, brought about by their renewed trade. This included catapults that fire explosives, and fire-spears. Fire spears were a type of spear or lance, which would shoot flames out of the end. It was the predecessor to the hand cannon. Both Sozen, and Katsumoto died in 1473, which ended the Onin War, but didn’t stop the fighting. No one could control the warlords now, and everyone was willing to kill each other in order to become the next Shogun. Tokugawa fought his first battle when he was 14 and would go on to become one of the most powerful men in the world. He fought against the Oda clan in a series of battles for the Imagawa clan, and was relatively successful at this, however his luck would turn. While attacking the Oda he managed to capture Marune fortress, and stayed there for the night. While Tokugawa was resting, the Imagawa clan was fighting the battle of Okehazama. Yoshimoto Imagawa (head of the Imagawa Clan) fought Oda Nobunaga, who had recently become the head of the Oda Clan. He would soon be one of the most feared men in the nation. Yoshimoto had gathered 25,000 soldiers for an attack on Kyoto. Nobunaga sets his spies to work, giving him a picture of what was happening. The Imagawa were relaxedly celebrating their prior victories, such as the capture of Marian Washizu fortresses. They were partying inside a gorge, which Nobunaga knew inside and out. He surrounded the Imagawa, and rushed into their camp from all directions. The Imagawa, were so shocked they simply fled in fear. Yoshimoto was unaware of everything. He heard a ruckus going on outside, and left to try and calm his men down, assuming a fight had broken out between them. As soon as he left his tent, a spear was thrust into his body, and a samurai lopped off his head. In order to survive, the officers who didn’t die during this battle, sided with the Oda, including Tokugawa Ieyasu. Tokugawa secretly worked with Oda until he could save his wife and child who were being held hostage by the Imagawa Clan. In 1571 he worked with the now famous ninja, Hattori Hanzo, to capture Kaminogo Castle, from the Imagawa clan. With the hostages he gained from the capturing the castle, he managed to gain his wife and child back in an exchange. He then married his son to Nobunaga’s daughter, solidifying their relationship. Now that they were allied, Tokugawa would be loyal to Nobunaga for the rest of his life. Together they make up two of the three most important people of the Sengoku Period. During his alliance with Nobunaga Tokugawa’s power grew. He defeated the Ikko Ikki, and the Monto in battle, and reformed his clan, the Matsudaira. Tokugawa formed an alliance with the unrivaled cavalry masters, the Takeda. Together they agreed to defeat the Imagawa, and share their territory. After defeating the Imagawa and capturing their territory, he ended his alliance with the Takeda. He then allied with Useugi Tenshin who was an enemy of Takeda. Despite their alliance being strong, it was destined for a bitter end. 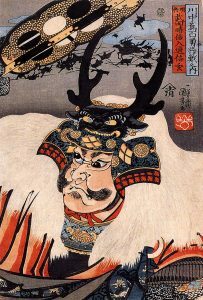 Allying with Takeda’s enemy didn’t come without consequences, and in 1571 Takeda Shingen launched a monumental invasion force into Totomi. Nobunaga sent thousands of troops to help Tokugawa defend his lands, but he was still vastly outnumbered. After being overwhelmed at the Battle of Mikagatahara, Tokugawa retreated to a nearby castle. After this colossal defeat, it looked as if things were going sour for Tokugawa. Tokugawa wanted his men to return with honour, so he ordered his men at the castle to put a grand display, lighting torches, sounding drums, and leaving the gates open for his men to return like heroes. The Takeda was scared by such a display of confidence and relented their attack. They decided to patiently wait, and make camp for the night. In the dead of night an elite force of Ninja snuck into the Takeda camp, and raided the sleeping army. The Takeda was now so shook up that they called off the invasion completely. Takeda Shingen died not that much later, and his less competent son took over. The Takeda continued to attack Tokugawa from time to time, but with the combined strength of the Oda-Tokugawa alliance, they were no real threat. The real enemies were inside the alliance. Conspirators, assassins and traitors would soon crumble the alliance, and a new power would emerge from the rubble. Calamity struck the Tokugawa family as his wife and son were both executed by Nobunaga. They had been conspiring with the remaining Takeda to assassinate Oda Nobunaga. 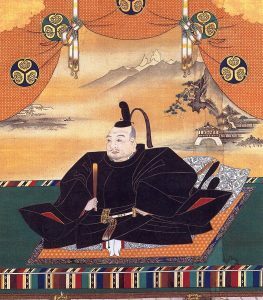 Tokugawa had only two sons left now, however, his second son had been adopted by Toyotomi Hideyoshi, and so he made his third son his heir. In 1582 the war with the Takeda finally came to an end at the Battle of Tanmokuzan. Nobunaga ordered an embittered general named Hidechi Mitsuhide, to assist a fellow general, however Mitsuhide instead attacked Nobunaga. He surrounded Nobunaga and burned down the temple, he was in. It’s uncertain why he did this exactly, but he did hold a grudge against him for his mother’s death. Mitsuhide became the enemy of the world after this betrayal. His enemies rallied against him, and friends he thought he could count on abandoned him to side with his enemies. He failed to win many people over, and his army dwindled to only 10,000 men. Things weren’t looking good for him, but he could at least count on not being attacked by Toyotomi Hideyoshi, who was a big threat, as he was busy dealing with the Mori Clan. Except, as soon as Hideyoshi heard what had happened, he abandoned the Mori fight, and force-marched his army to Hidechi’s position in four days. 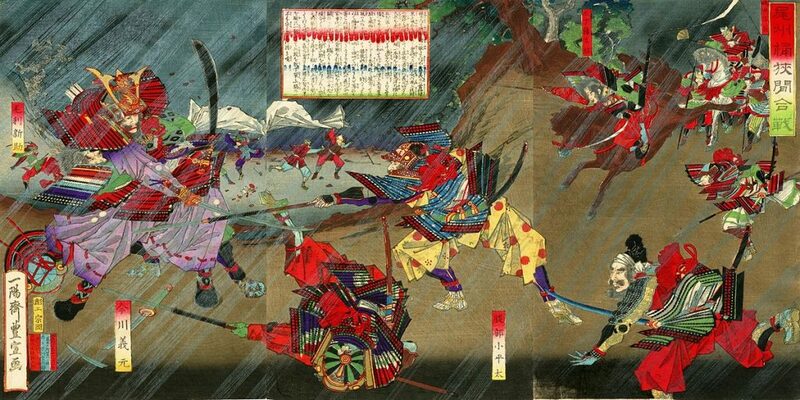 Hidechi was completely caught off guard, and got decimated by Hideyoshi at the Battle of Yamazaki, in only 2 hours. The most powerful man in the country had died, and some of his territory was up for grabs. Tokugawa invaded Kai province, after they killed one of his retainers. Taking Kai resulted in the Hojo clan invading but they quickly made peace. Hideyoshi then fought with Shibata Katsuie, but Tokugawa chose not to pick a side. Hideyoshi quickly dismantled his adversary and became the most powerful man in the country. 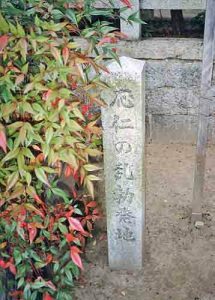 He was the third of the three unifiers of Japan from this period. Hideyoshi then went to war with Oda Nobukatsu, the eldest surviving son of Nobunaga. Perhaps out of loyalty to the Oda, or to try and take out his biggest threat, Tokugawa sided with Nobukatsu. The war didn’t really go anywhere, and they eventually made peace with Hideyoshi. They then worked with Hideyoshi and unified Japan under his rule Hideyoshi eventually became the second most powerful Daimyo in Japan. Hideyoshi was now ruler of Japan, and invaded Korea, with plans to invade China. The invasion of Korea lasted for 6 years, ending with Hideyoshi’s death in 1598. With Hideyoshi out of the way, Tokugawa now had an opportunity to become ruler of Japan. Tokugawa began making alliances with other Daimyo; there were many who resented Hideyoshi’s rule. 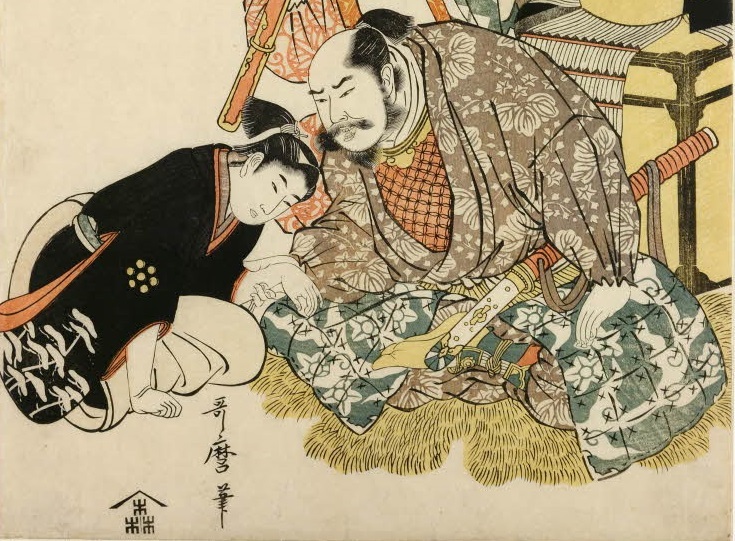 Hideyori, Hideyoshi’s son was technically in charge, but he was only a five-year-old, and so he didn’t have any real power. In 1599 Tokugawa led an army to Osaka Castle, and captured it. This was outright rebellion against the Hideyoshi, and it led to a split between the country. 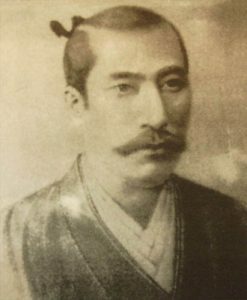 The opposition to Tokugawa was led by Ishida Mitsunari, a powerful Daimyo. Mitsunari was planning to assassinate Tokugawa, however, he was discovered and almost killed by Tokugawa’s men, however Tokugawa protected him and allowed him to escape, for reasons unknown. Mitsunari later became leader of The Western Army, a coalition against Tokugawa’s The Eastern Army. It’s possible he saved Mitsunari because he wanted him to lead the opposition, believing he was incompetent. The war culminated in the Battle of Sekigahara. It was the largest battle of the Sengoku Period, and one of the most important battles in Feudal Japanese history. Tokugawa started with only 75,000 men, dwarfed by Mitsunari’s 120,000 men, however, Tokugawa was sly. 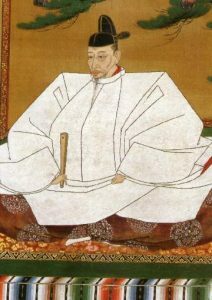 Tokugawa had already been secretly communicating with Daimyo’s in The Western Army, and promised them land if they were to switch sides during the battle. Throughout the battle Daimyo’s began switching to Tokugawa’s side, and turning on their own, some of Mitsunari’s stayed neutral and didn’t fight at all, eventually even some general’s who didn’t plan on switching sides, joined Tokugawa when they saw how the battle was turning out. The Western Army all either switched sides, abandoned the fight completely or died. After this humongous victory, no one could stop Tokugawa from becoming Shogun, which would put an end to the Sengoku Period.